Thanks to Shipfax for the tip, 2 Halifax regulars, Teval and Marwan are headed to the scrappers. 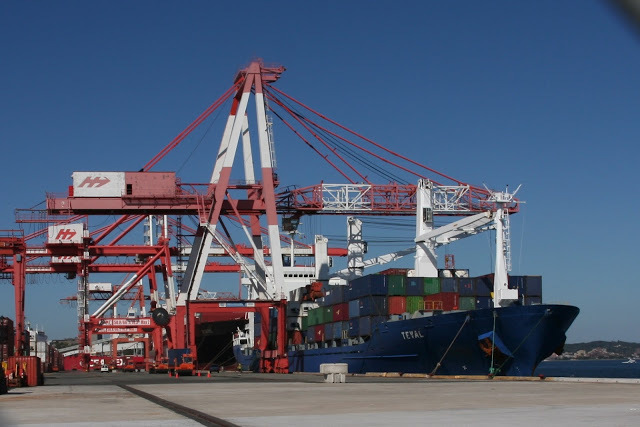 Both vessels run on Melfi Lines’ service to Cuba from Europe and Canada. Melfi does not own the ships, but charters them from thier owners. Expect to see 2 new vessels in the rotation shortly. This entry was posted in container ship, Melfi, scrap on November 5, 2012 by Peter Ziobrowski.